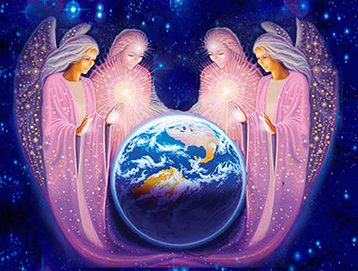 Upon the completion of the development of Sacred Alchemy, Mother Mary appeared to me with the scent of roses and shared her vision of the Global Healing Ministry that has become a living reality today. Coming on board as one of the main Divine Sponsors of the Temple of Sacred Alchemy, which was founded under her direction in 2000, with 33 spiritual board of directors known and revered across the Earth, their Divine Complements and entourages, she opened up the Inner Planetary Healing Forum where many souls could be healed on the deep levels of the psyche in each session. Since then, its been glory unto glory… with so many miracles continually. I’ve seen the most impossible cases transform, even though they were seemingly incurable, irreversible or unchangeable… life sentences of suffering dissolved away as light filled futures appear on the horizon.